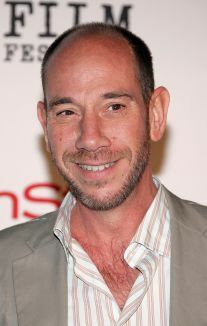 Born February 7, 1955, intense character actor Miguel Ferrer specialized in playing villains, and brought to each role an unpredictable energy. Working steadily on television and in feature films, Southern California-born and raised, Ferrer was the eldest of five children and is the son of famed actor José Ferrer and jazz artist Rosemary Clooney. Inspired by watching Little Ricky banging away on drums during the I Love Lucy show and by Beatles percussionist Ringo Starr, Ferrer first aspired to become a professional drummer and for a few years worked as a studio musician. Acting credits came by way of small television and feature film roles. He debuted on television guest starring as a drummer on the NBC series Sunshine (1975). His first real break in movies came when he was cast in Paul Verhoeven's sci-fi actioner Robocop (1986). 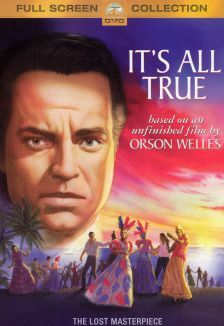 The tall, rangy actor subsequently appeared in films such as Revenge (1987) and Point of No Return (1991). Back on television, he gave a memorable performance as an emotionally volatile FBI pathologist in David Lynch's cult series Twin Peaks. Ferrer also starred as a Louisiana cop in Broken Badges. Other television credits include a guest-starring role on the NBC medical drama E.R., a supporting role in the telemovies Shannon's Deal and Brave New World, and a regular role on the comedy Lateline. 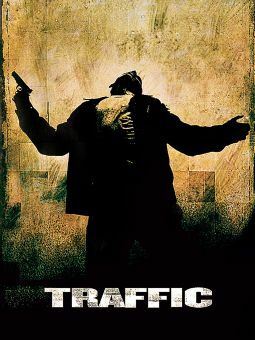 In 2002, Ferrar appeared alongside Michael Douglas, Don Cheadle, and Benicio Del Toro in filmmaker Steven Soderbergh's Academy award-winning drama Traffic, and worked in John Sayles' Sunshine state during the same year. Ferrer took on the role of Colonel Garrett in the 2004 update of The Manchurian Candidate, and lent his voice to episodes of the Cartoon Network favorites Robot Chicken (2006) and American Dad! (2007). The actor continued to work in television over the next couple of years, making appearances in NBC's update of the Bionic Woman series, and took on the part of LAPD Lt. Felix Valdez for The Protector, a made-for-television police procedural drama. He also had a recurring role as NCIS assistant director Owen Granger in NCIS: Los Angeles. Ferrer was diagnosed with cancer during his run on NCIS, but chose to stay on the show and work through his illness. He died in 2017, at age 61. Decided to play the drums at age 8 after seeing Little Ricky do it on I Love Lucy. Prompted to take up drumming professionally after watching Ringo Starr perform on The Ed Sullivan Show with the Beatles. Later on, he played on Keith Moon's solo album with Starr. Initially reluctant to take up acting because of his famous father, Oscar winner Jose Ferrer; friend Bill Mumy (Lost in Space) talked him into giving it a shot. In turn, it was Miguel who encouraged George Clooney, his cousin on his mother's side, to come to L.A. and try out acting. When the cast of Crossing Jordan visited the L.A. morgue to research their roles, he declined.